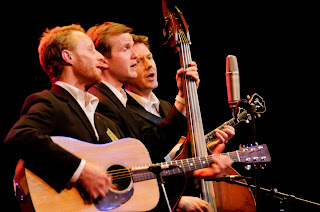 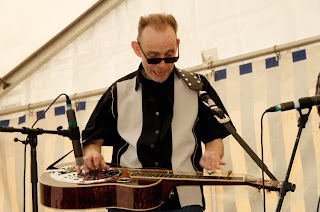 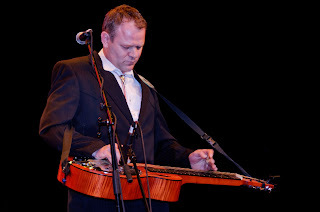 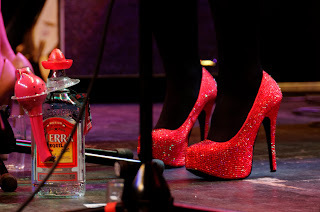 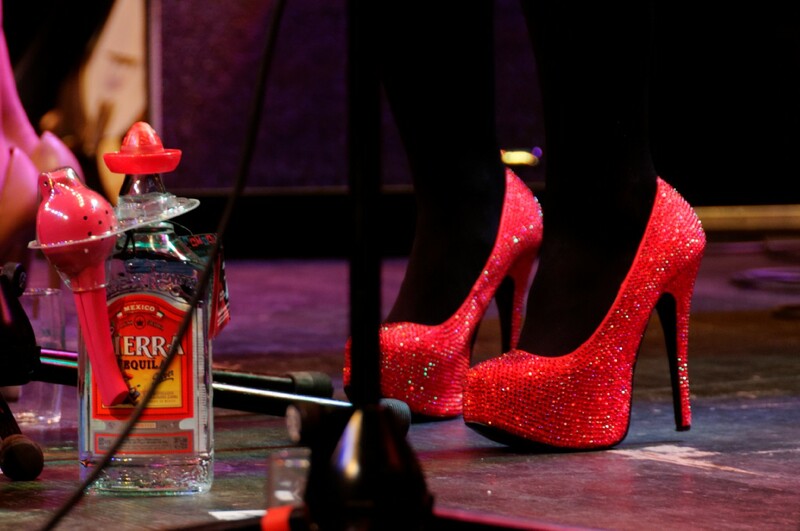 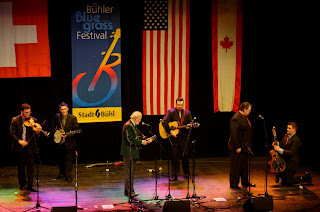 More splendid photos from the 9th International Bühl Bluegrass Festival (13-14 May 2011) - all of them taken by Jörg Neuner. Very reluctantly, but forced by many inconvienences, Klaus Grotelüschen announced in June 2006 he had to discontinue his traditional Whitsuntide Festival in Neusüdende. Many could not believe it, but decisions had been made. 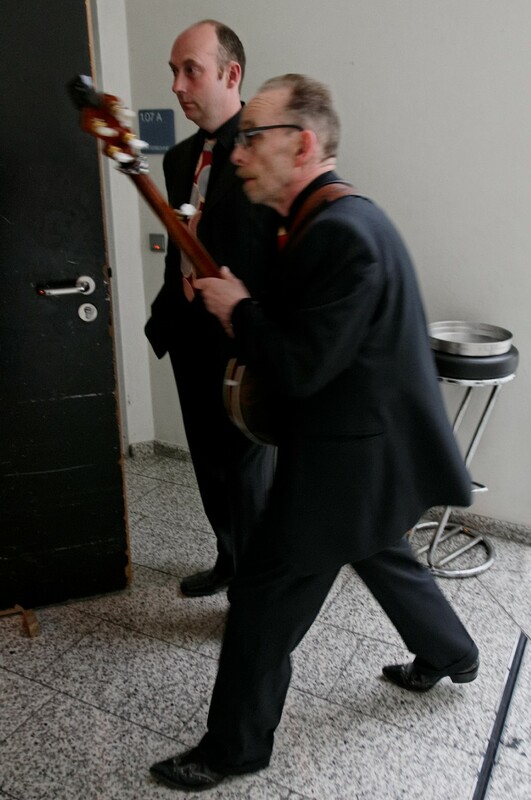 At that time, Klaus couldn't dream about the unique constellation, which would appear only a few weeks later, enabling him to continue his tradition, but on a higher level. There was - amongst all his close friends - his 'financial consultant', as he likes to call him, with positive thoughts and suggestions. There was a new general manager in charge at the state theatre of Oldenburg, with new ideas. 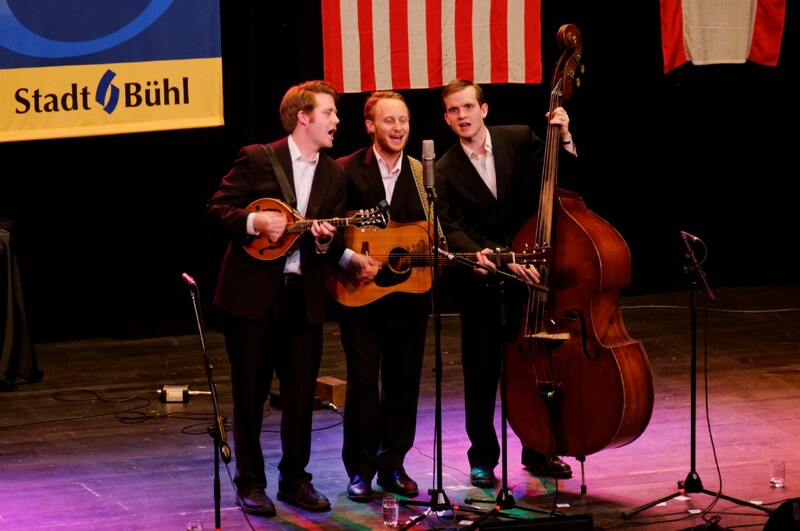 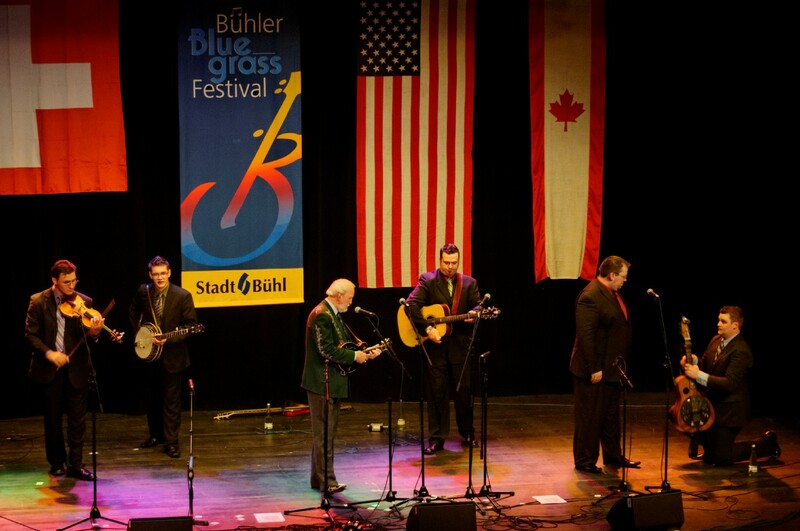 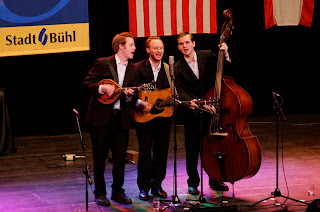 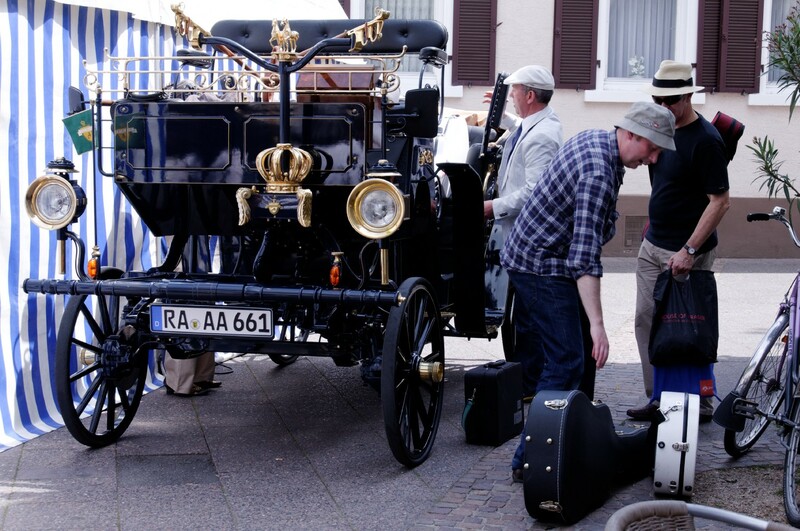 Existing relations and the great results with sold-out events of the International Bluegrass Festival in Bühl (Germany). 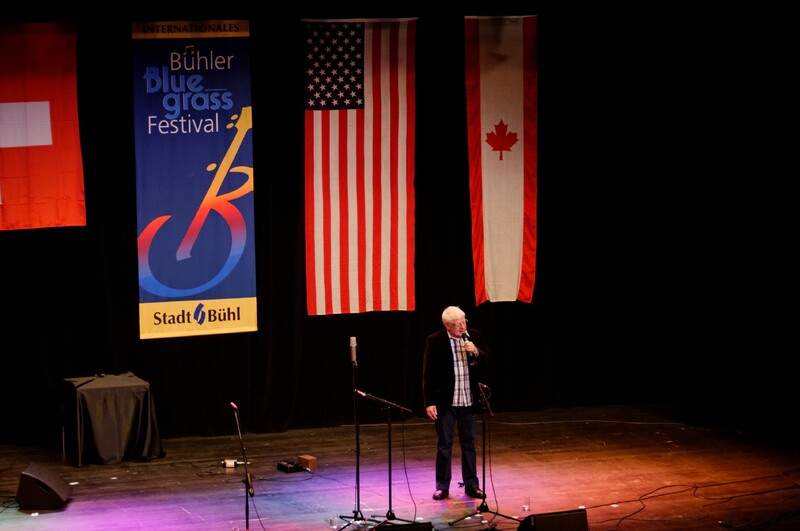 And, of course, there was Klaus himself with all his expertise as a concert and festival producer. The new venue will give bluegrass music room in an acoustically first-class environment, and the atmosphere of such old buildings has proved to be a great combination already in the past. 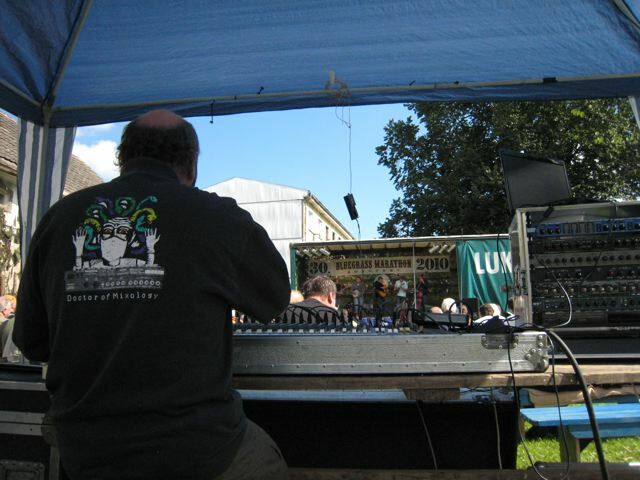 Success can already be predicted for this new and great setup! 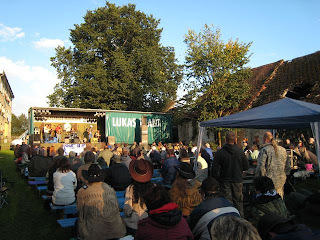 Prior to the 1980s, country music in France was marginal. 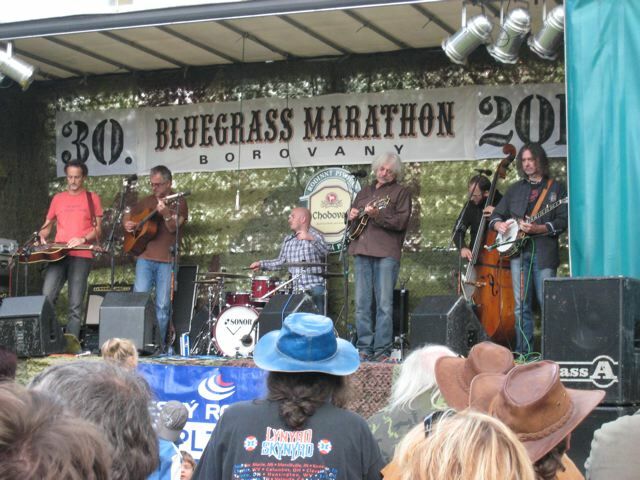 Beginning with small regional music festivals, attracting only a few dozen people, the past two decades have seen an unprecedented national increase in country music’s popularity. 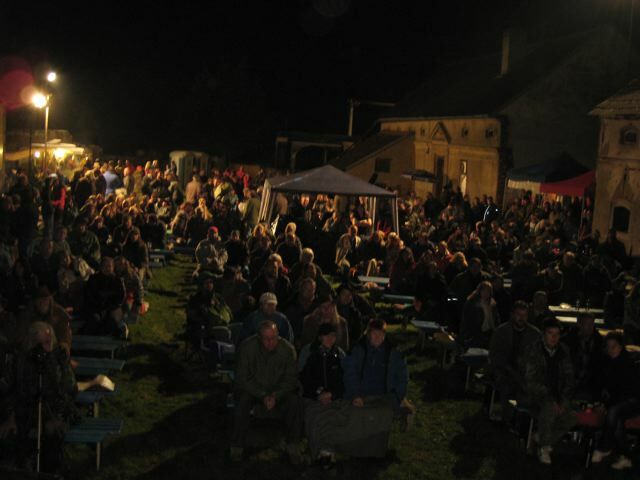 Today, the average summer yields over forty festivals nationwide with the largest, the Country Rendez-Vous in Craponne sur Arzon in Haute Loire, drawing over 30,000 people. The sudden growth of country music in French radio, television, periodicals, festivals and concerts may lead us to ask what the music is saying that appeals to the French. 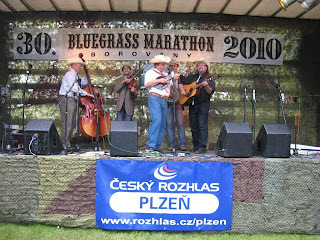 The next ICMC e-blurb will inform ICMC friends of another internationally focused presentation in an intriguing troika that concludes ICMC 2011. 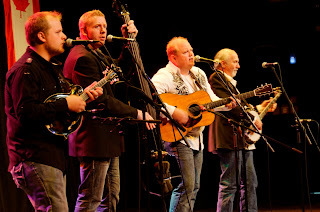 Pickers - don’t forget that Nate Gibson (e-mail) will be serving as ICMC Picking Coordinator. 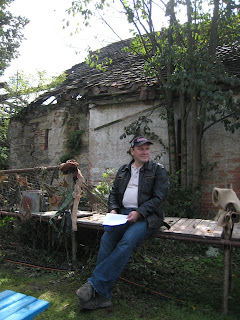 He will be sending e-mail to previous picking participants, but you might want to let him know of your interest to make certain that you’re in the ‘Picking Loop'. The Holiday Inn Vanderbilt is again serving as the official ICMC hotel of choice with a GREAT $99 single through quad rate available from Wednesday May 2011 through departure Sunday 29 May. 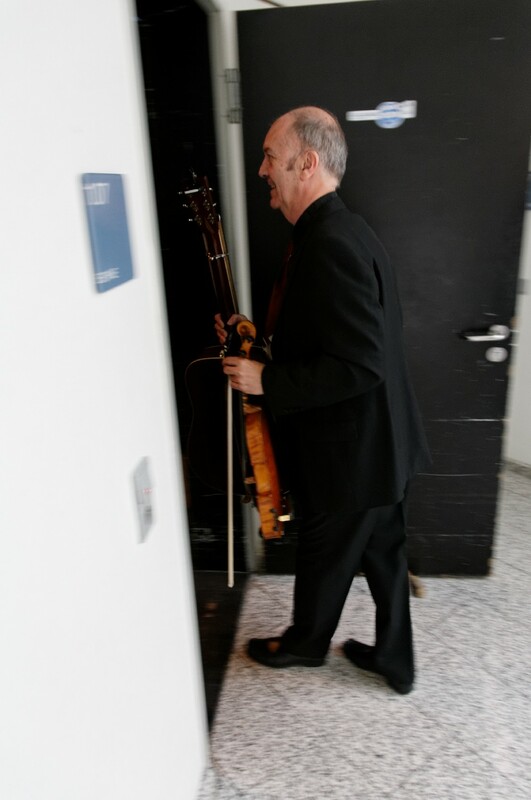 If you make reservations over the phone (615.327.4707), please be certain to mention the three-letter ICM code. 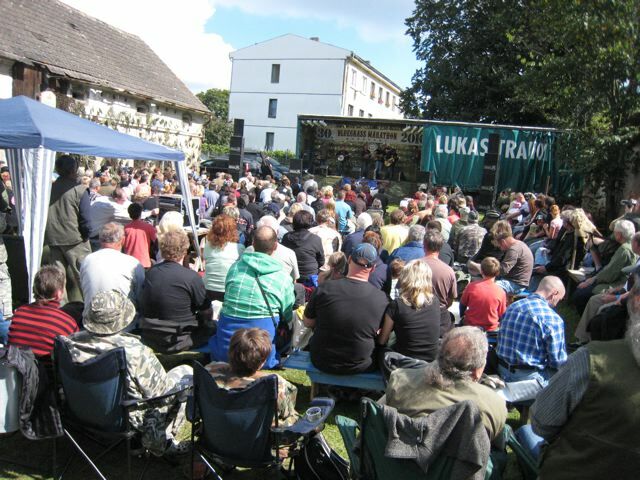 You may also register online here. A block of 15 rooms has been set aside. 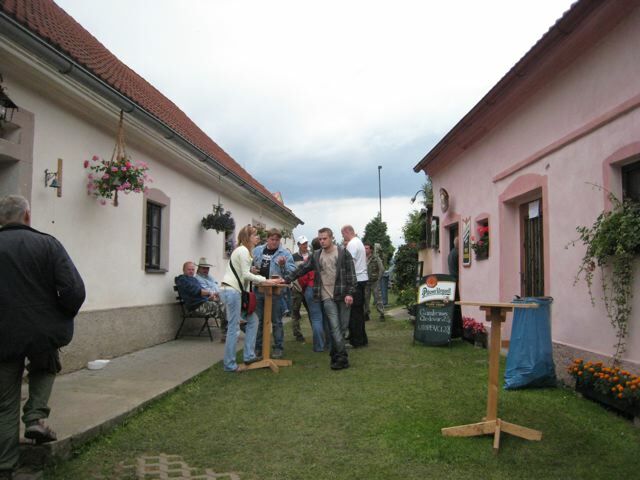 Reservations received after Sunday, April 24, 2011 will be provided on the basis of space availability. 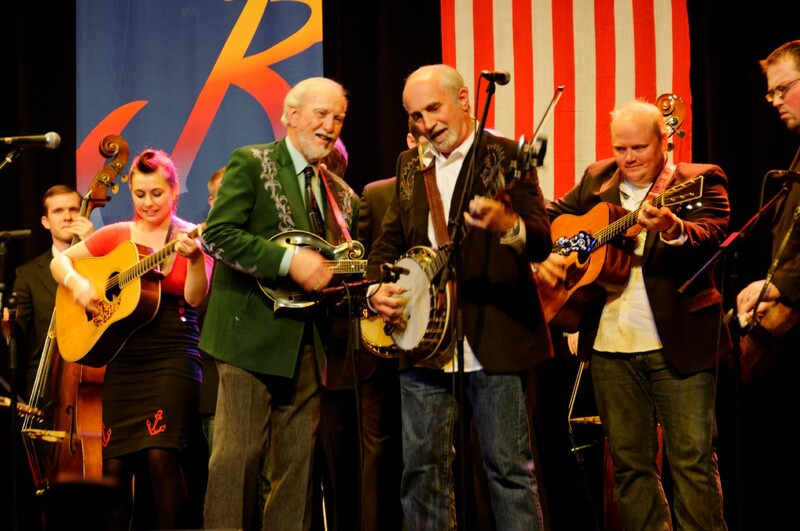 The Holiday Inn shuttle may be used to and from the Gordon E. Inman Center at Belmont University in which the Frist Lecture Hall is located. 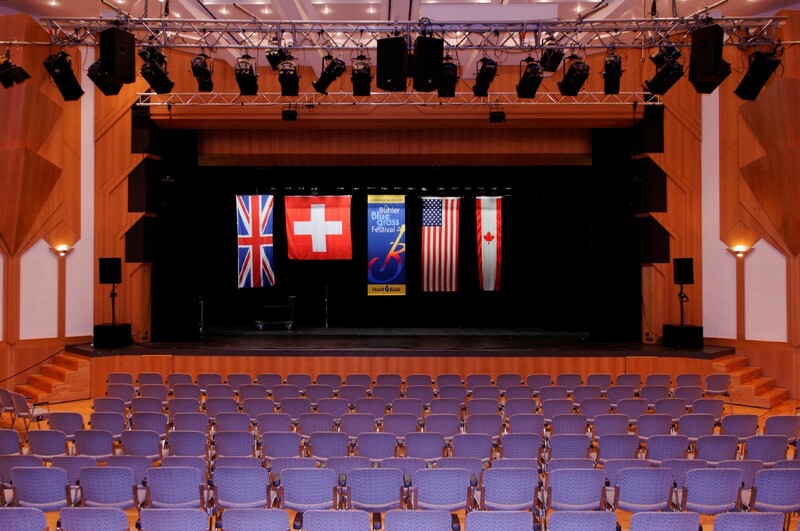 We are also pleased to make available two other lodging opportunities: the Scarritt Bennett Retreat and Conference Center. 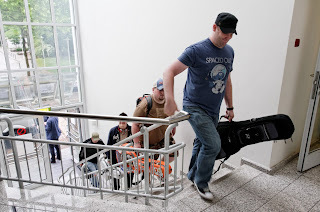 Please mention code ICMC2011 when booking (615.340.7500, 866.420.5486, e-mail) to receive the $40 Standard Room or the $55 Upgraded Room with television and high speed internet. In addition, Belmont University dorm rooms are available at the rate of $34.30 per night rate for ICMC 2011. 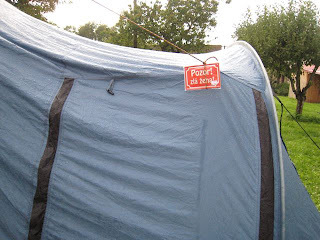 Linens are available for an additional $15 charge. 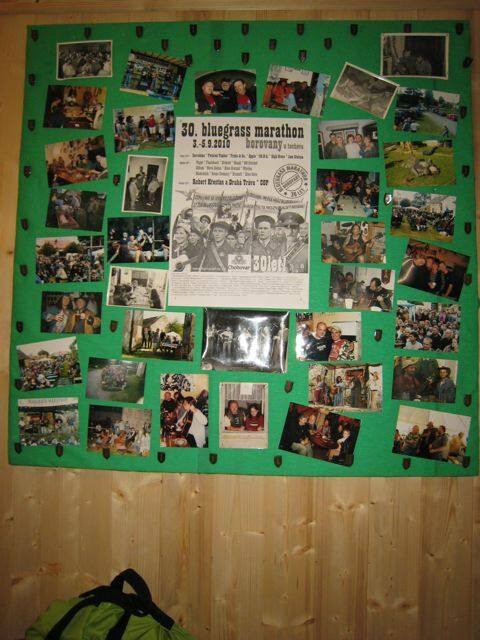 Please contact ICMC Co-Chair Don Cusic (e-mail) if you are interested in Belmont dorm lodging. Registration for ICMC is $125 and includes substantial luncheon and breakfast fare as well as well as finger foods at evening functions. Please make your check payable to ICMC and send to James Akenson no later than Friday 20 May 2011. 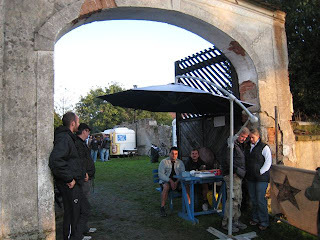 You may wish to use the PDF form. 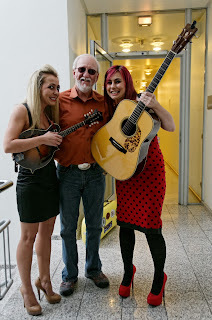 Should you no longer wish to receive information from the International Country Music Conference please reply and your request will be honored. 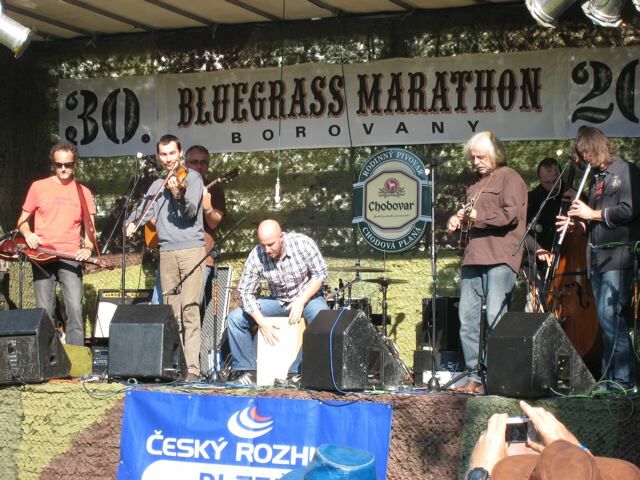 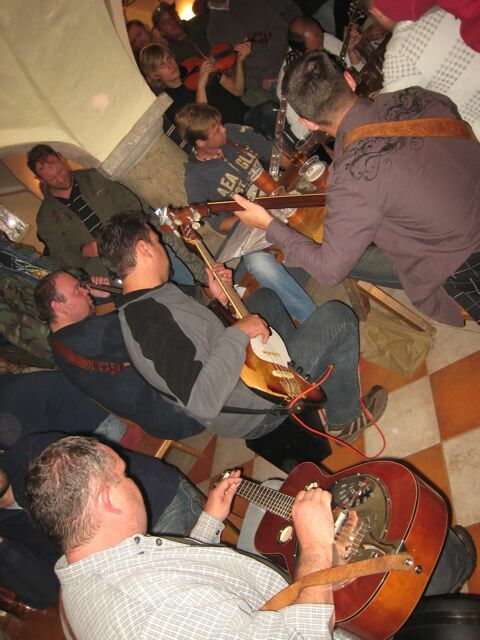 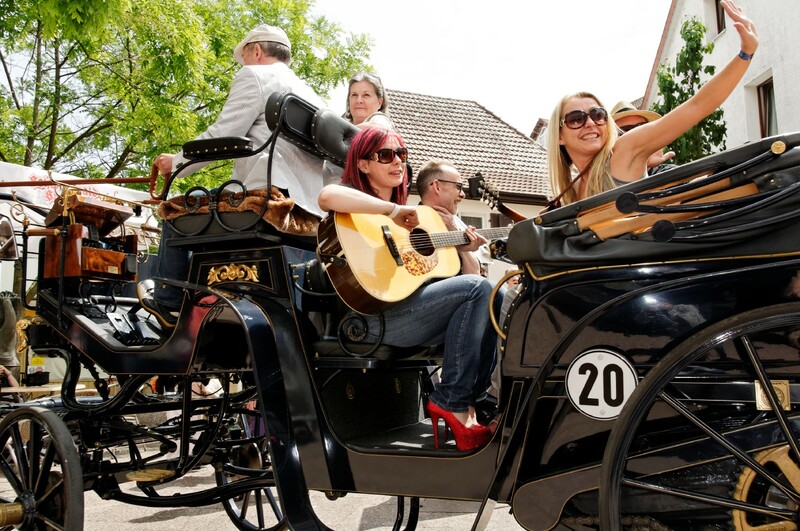 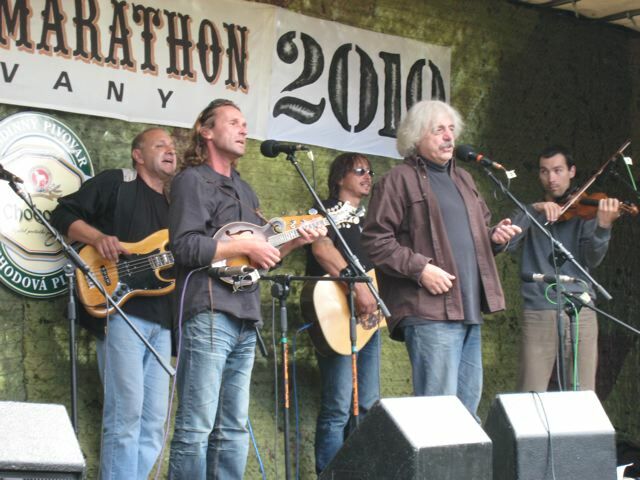 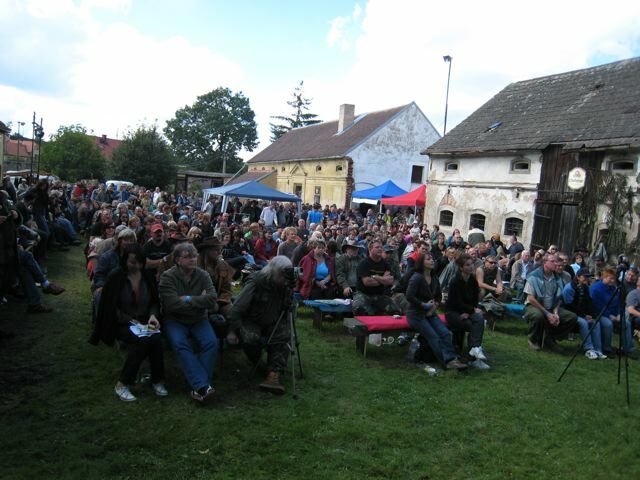 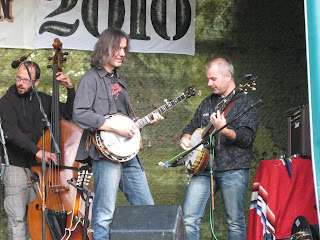 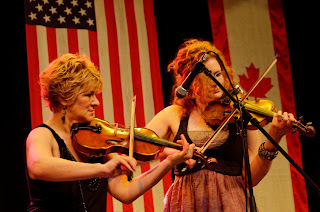 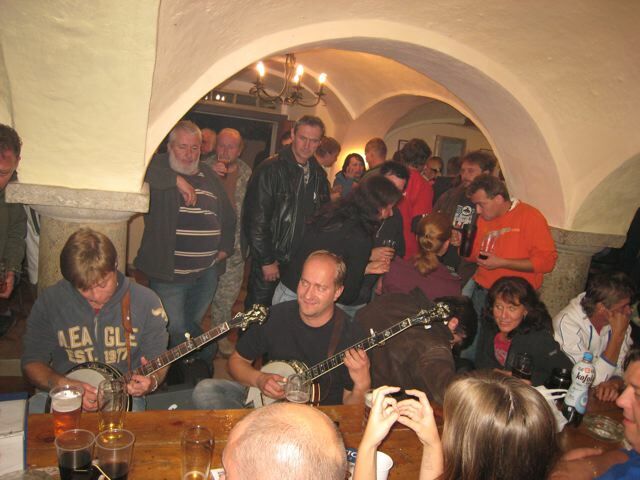 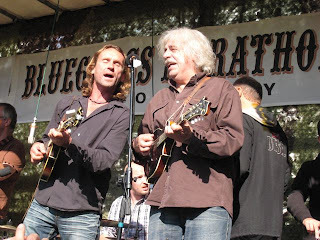 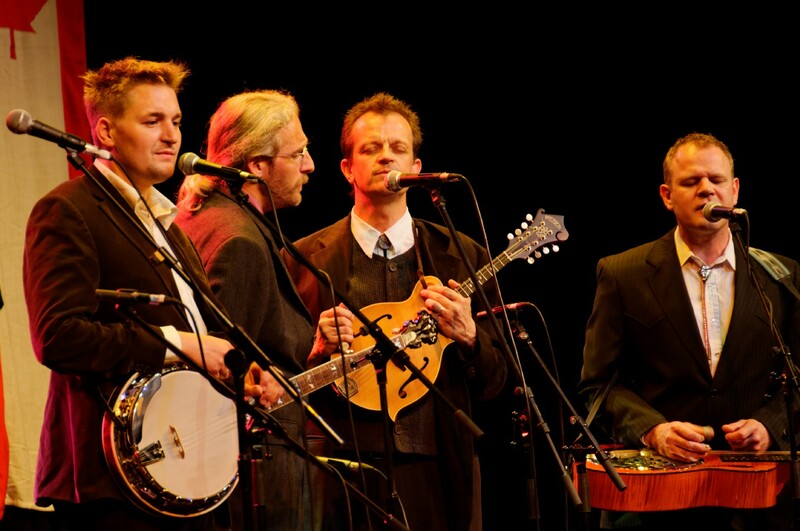 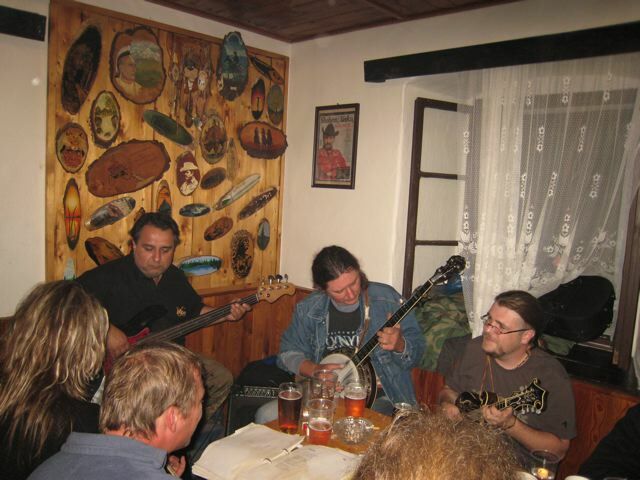 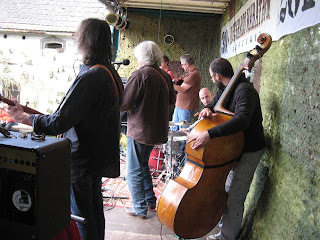 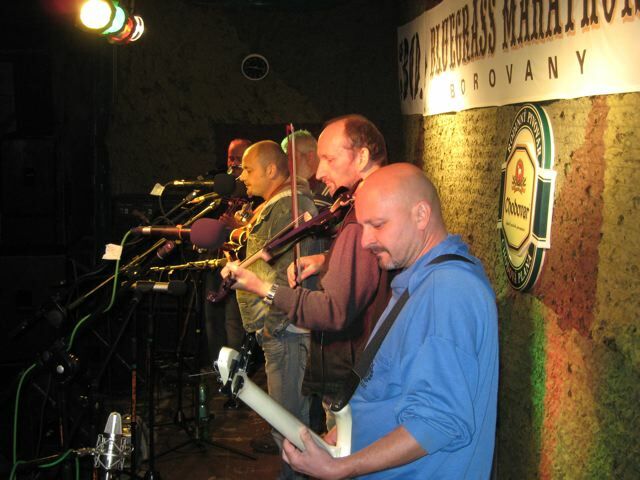 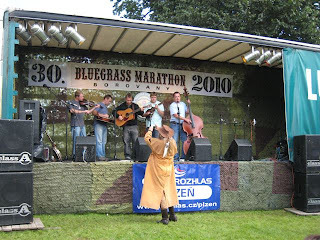 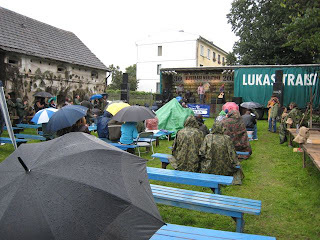 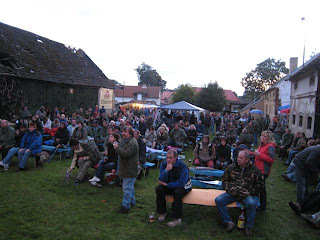 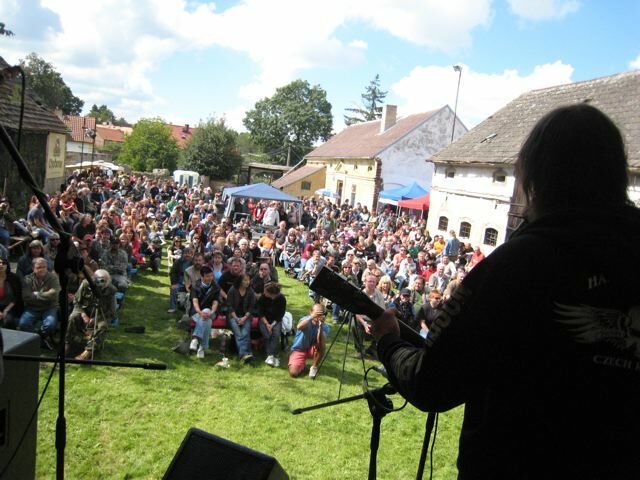 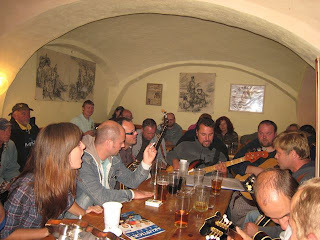 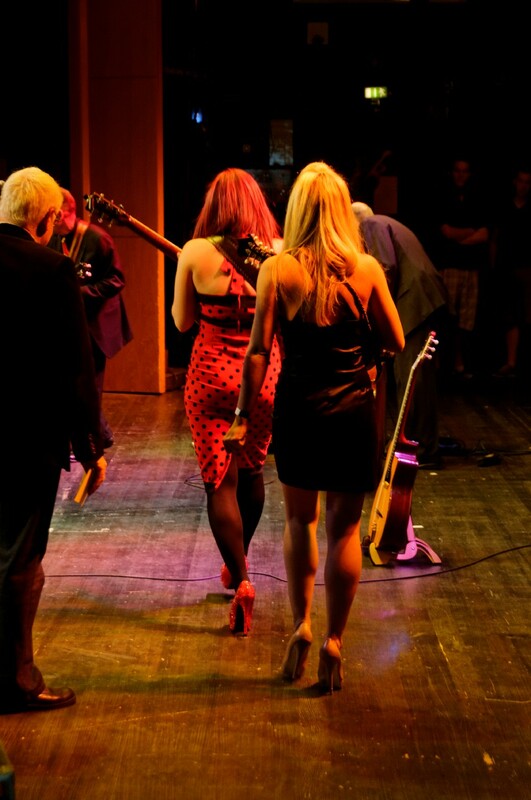 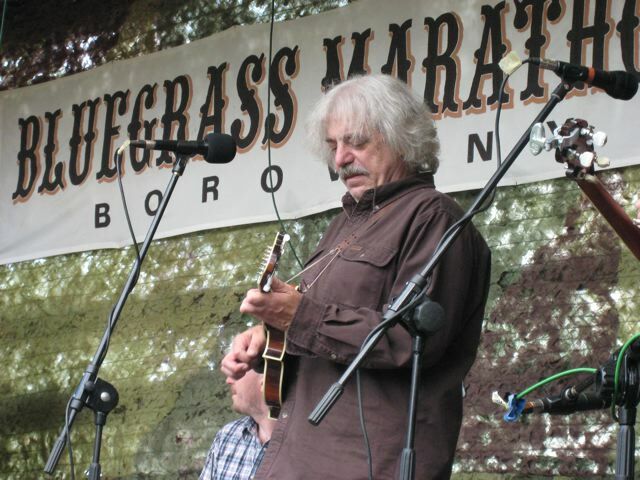 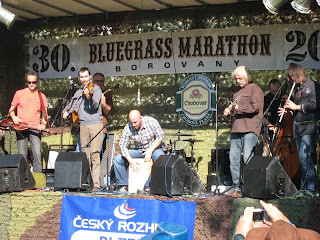 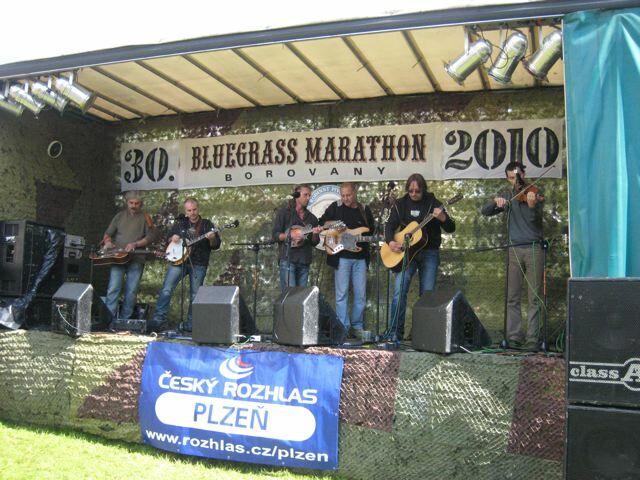 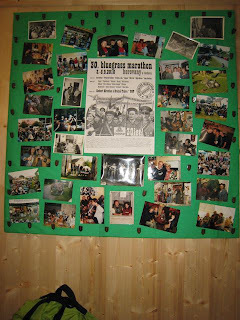 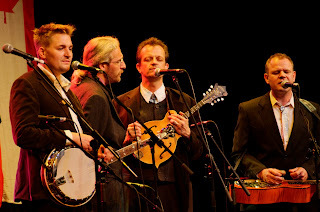 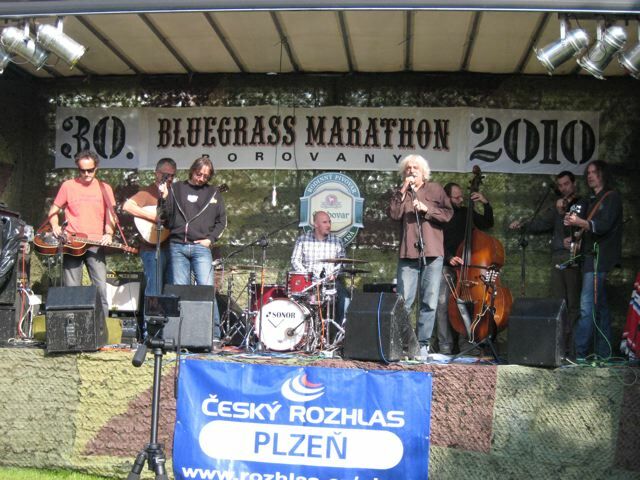 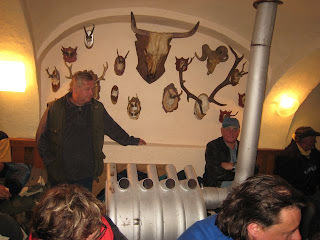 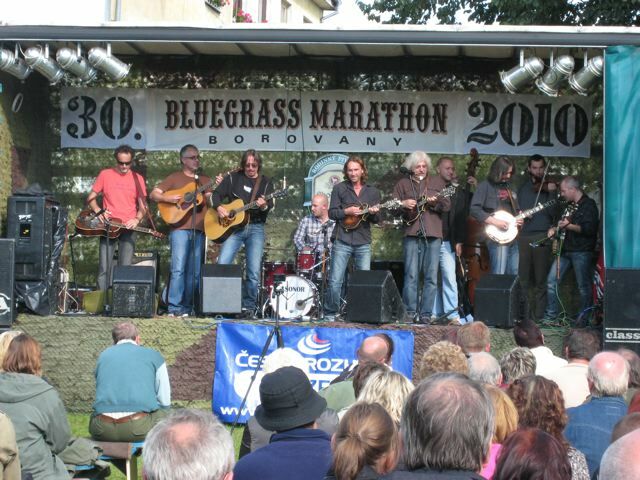 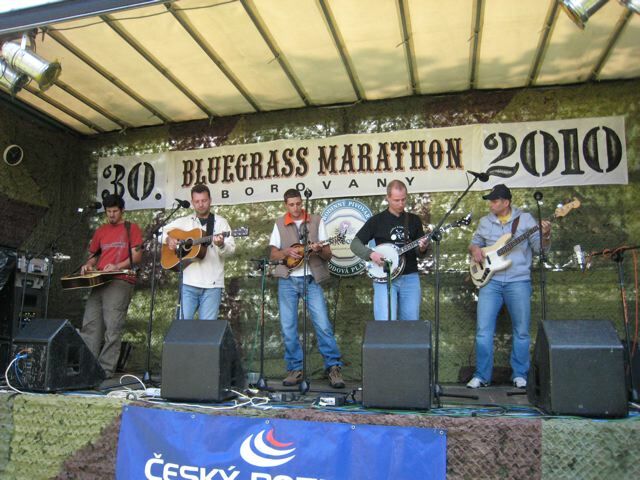 In the south-west of the Czech Republic, near the German border, the second oldest European festival, Bluegrass Marathon, started last weekend (3–5 September 2010). 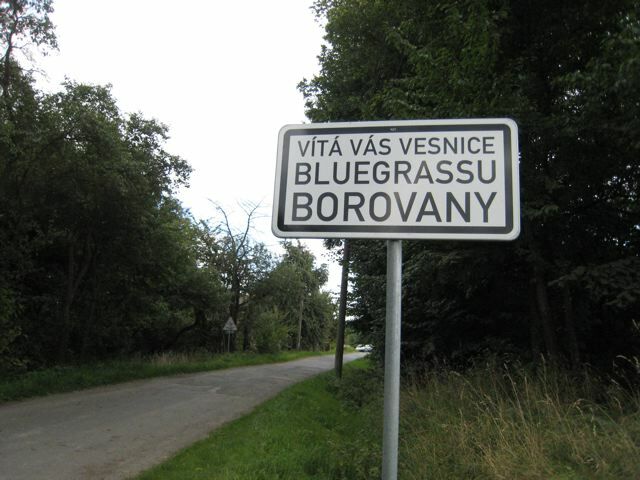 I wanted to go there at least for the last fifteen years and finally made it. 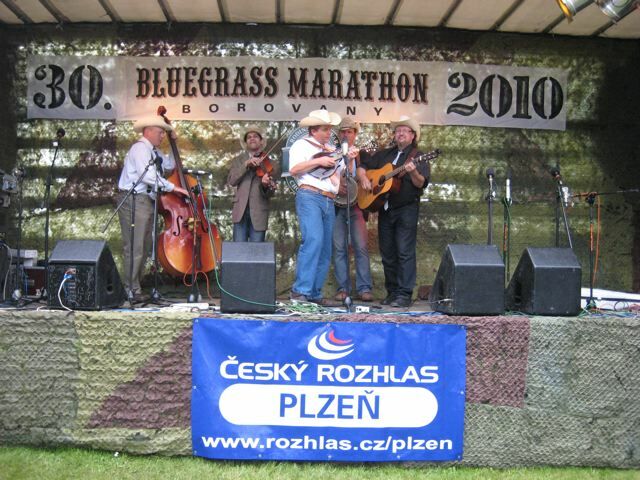 One of the last white spots on my Czech bluegrass map disappeared. Borovany is a small village near Tachov, at the end of a road, with population about fifty. 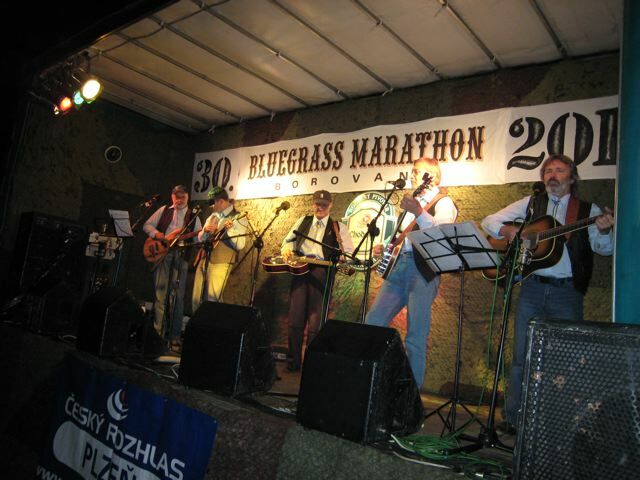 Each year for the first September weekend, multiply ten times the number of its inhabitants and it turns into a real bluegrass village. An inimitable atmosphere reigns there. Most people know each other and have been coming there for years, and the few new faces feel here at home soon. 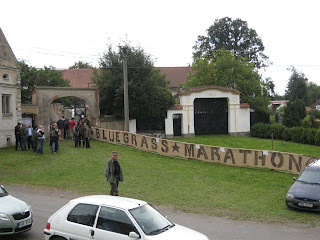 The event is located around two old farms and their farmhouses. The former old cultural house is available in case of rain. 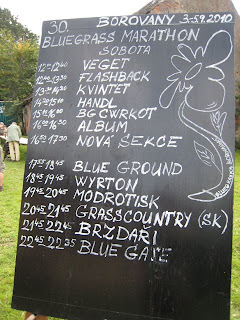 I arrived Saturday noon; short before the first band, Veget, came on stage. 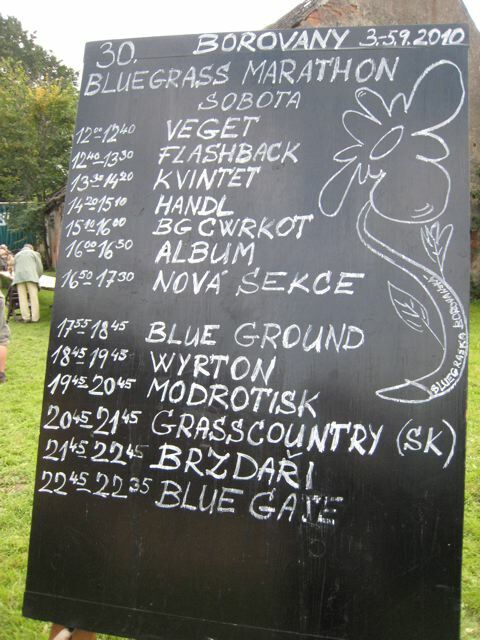 On the afternoon program stand bands like Flashback, Kvintet, Handl, Bluegrass Cwrkot, Album, and the New Section – Nova Sekce. The evening started with the modern American country band Blue Ground, whose members came originally from different bluegrass bands, like Vabank Unit, Cop, and so on. 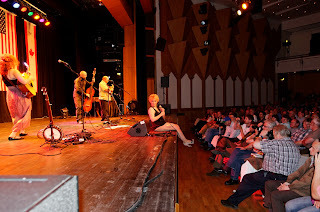 Wyrton you had the opportunity to see at EWOB (Holland) or La Roche (France); Modrotisk – another legendary band. 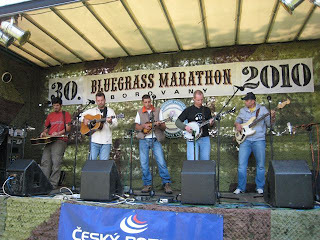 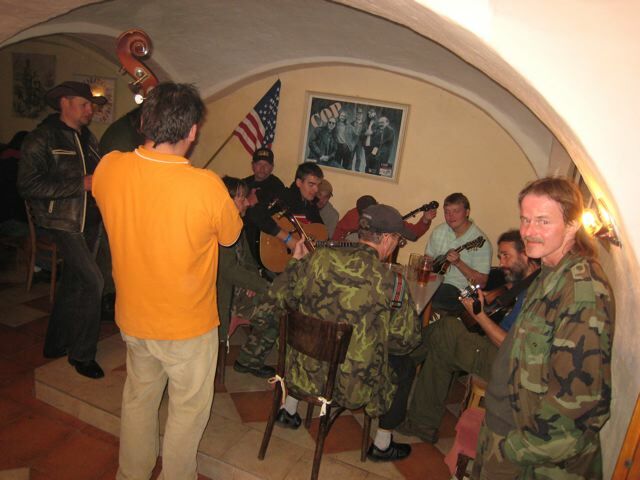 The only 'foreign' band was Grass Country (above) from Slovakia, also no strangers to the most of you. 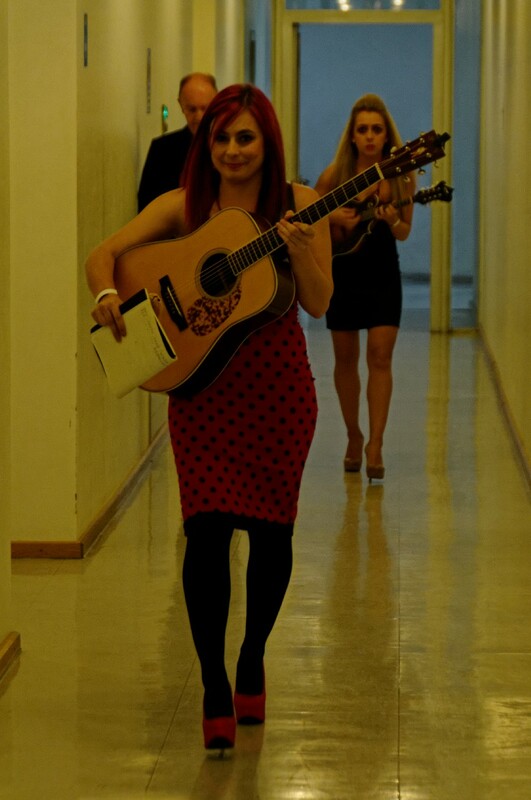 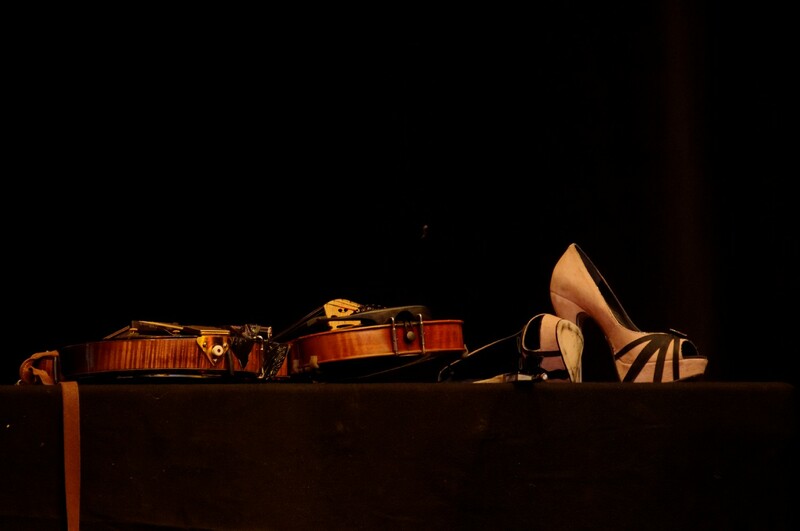 Last two were the traditional beautifully singing Brzdari (the Breakmen) and Blue Gate with the female leader and bass player Ilona Leichtova. 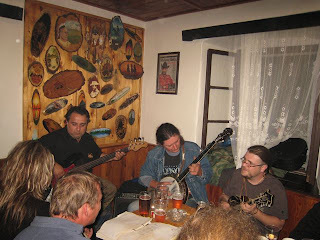 Many jam sessions followed. 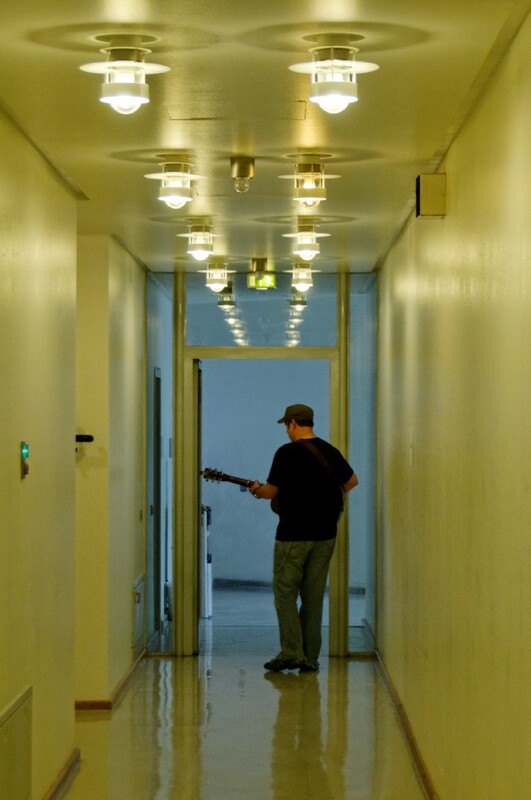 Till the dawn and some even till the noon. 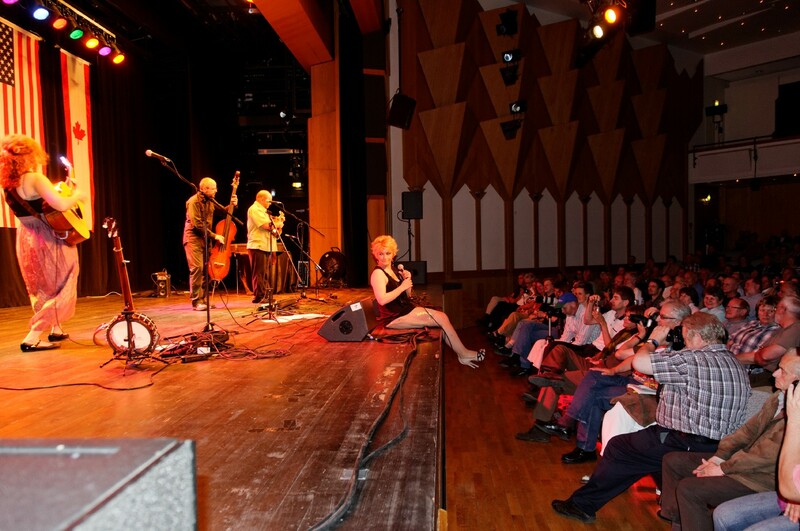 New this year was the Sunday double concert with the two most successful bands, Cop and Druha Trava, who play lately often together. 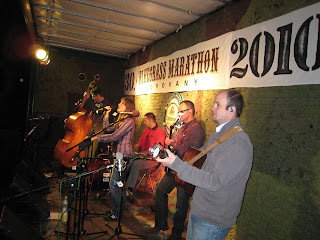 That was for many the festival highlight and a lot of extra people came for this. The area was quite full. 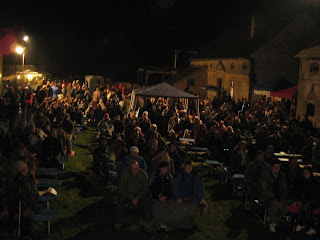 Cop started with their old hits and audience was singing along. 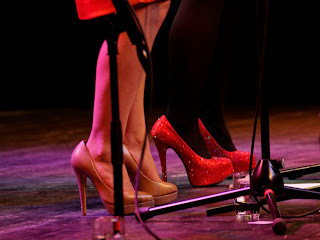 As guest came Robert Krestan on stage and they sang together 'White horses'. Then Robert Krestan & Druha Trava played their set and as guests Jirka Vopava and Misa Leicht (the frontman of COP) sang together with Druha Trava. 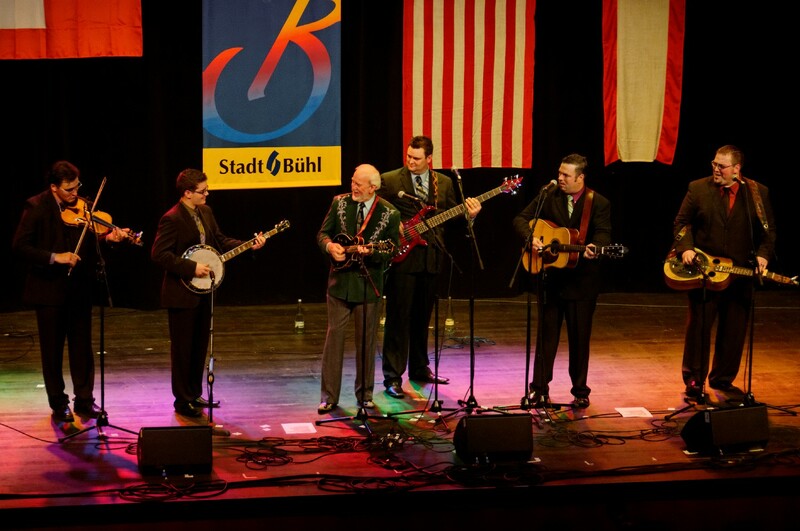 At the grand finale both bands performed together. An unforgettable experience! 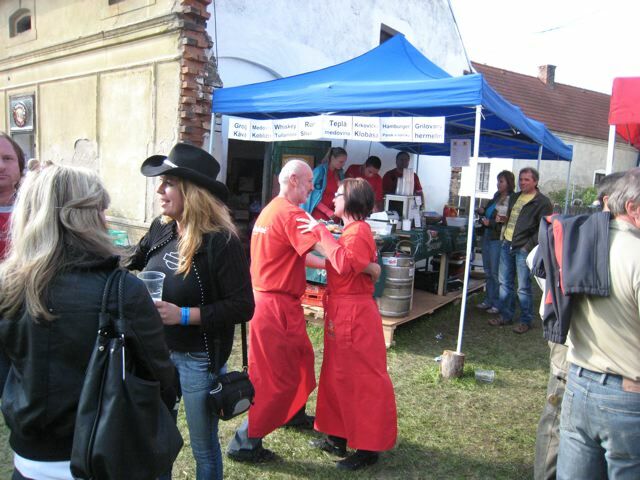 ... and the festival was over! Many encores followed and after more then three hours the concert was over. It was a phenomenal festival. I was very pleased to make it finally there! Thanks to all promoters, sponsors, all the performing musicians, who played there just for travel money and all the people of Borovany, the Bluegrass Village. 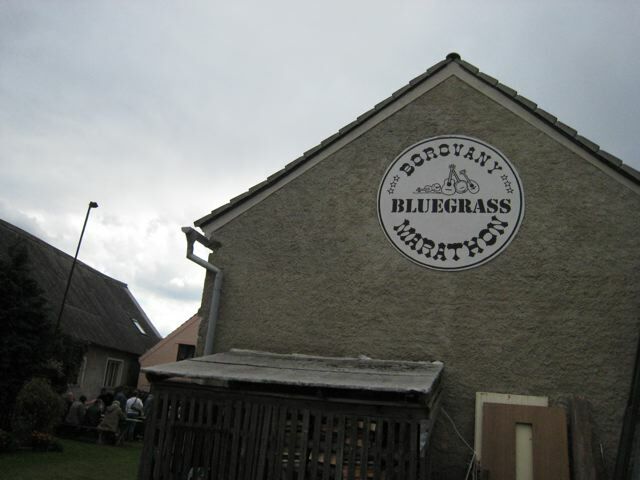 Hope to be able to come back again next year!